Managing scarce western water resources increasingly requires an understanding of the multiple interests facing any watershed and ways in which they interact, overlap, and compete. CDR Associates reflects on inter-jurisdictional stakeholder based efforts in western watersheds. Water managers and policy makers balance pressures ranging from ensuring a safe and reliable water supply for municipal and agricultural users, to maintaining a healthy river system, to protecting against flood danger and damage, to ensuring economic development and recreational opportunities. These interests often overlap – e.g., a healthy river system can help protect against flooding; a reliable water supply can help ensure flows to create or maintain a healthy river. For water-scarce western communities, however, with the increasing threats of climate change and reduced water supply, these demands are often seen as inherently competing for funding, public attention, priority status, and political support. This challenge is compounded by the siloes created in local government to manage different water-related programs and priorities. 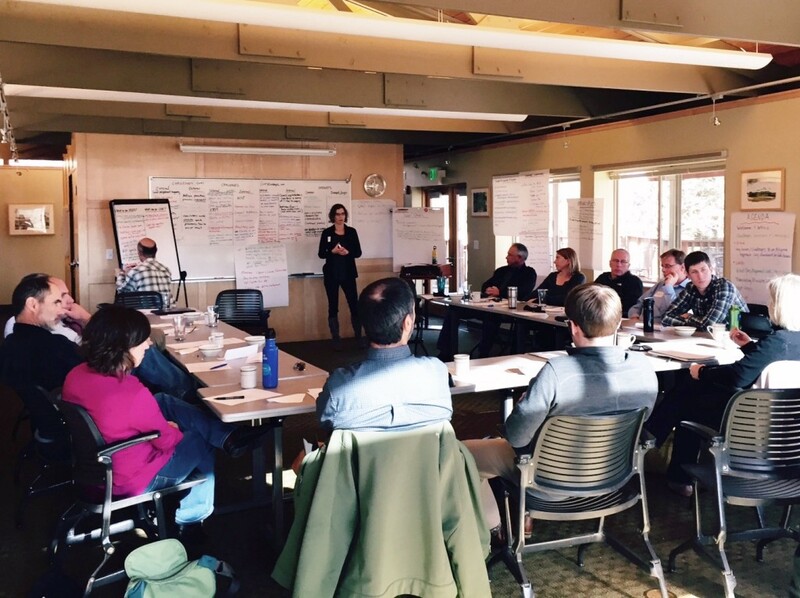 Having facilitated several inter-jurisdictional, stakeholder-based efforts to create watershed-wide master plans for the State after the 2013 Colorado floods, CDR is working with municipalities to internally align their priorities and approaches to managing rivers. For cities juggling numerous river-related objectives (e.g., water supply, a healthy river, flood protection), this means building internal understanding about the nuanced ways in which their interests relate to and impact one another. For a utility department, this may mean a better understanding of what ecologists mean by ‘river health’ and how water supply projects or water management to meet multiple interests. For environmental scientists, this may mean a better understanding of the risks and threats that utility or storm water departments manage, including engineering projects that could be impacted by the timing or politics of river health projects. As CDR’s work has shown, a forward-thinking, cross-sector approach to managing western water – particularly in this era of water scarcity and the unpredictability of climate change – requires building communication, trust and understanding across disciplines and interest groups; designing and developing mechanisms for collaboration, including effective facilitation; and leadership that promotes and supports this silo-busting approach.